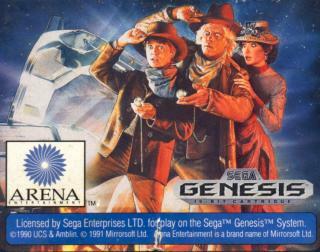 This game challenges your memory and shooting skills as you switch roles between Marty McFly and Doc to help Marty get back to his own time. Normally, you get 4 lives in the buckboard chase. BTF3 Codes 1 thru 5 allow you a choice of numbers. There are lots of codes to use in the shooting gallery. Codes 6 thru 12 give you more or less time. With Codes 13 to 15, you can change the point value of small ducks from the normal 150, and Codes 16 and 17 change the value of the flying ducks from the normal 1200. In the pie-throwing level, Codes 18 to 21 change the number of hits you can take. 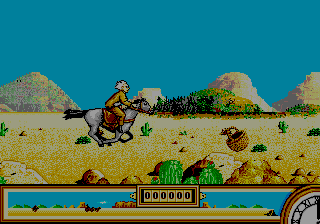 Experts can key in Code 2 to get only two lives to make it through the buckboard chase. 1 Skip Stages To skip stages in Back To The Future 3, pause the game at any point and simultaneously press these buttons together in this order: UP and A, DOWN and A, LEFT and A, RIGHT and A.
Christopher Lloyd, and Mary Steenburgen. 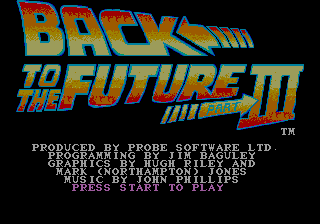 A Pretty decent game, a lot of mini type games based from the movie! If you loved the movie you'll love the game!